Thomas Comberford and his wife Dorothy had one son, William who married Mary Skeffington in 1567. 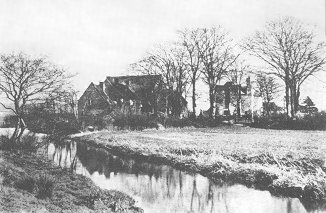 Thomas and Dorothy spent much of their married life at Comberford, but returned to Wednesbury in later life, where they lived at the manor house. Thomas died in 1597 and Dorothy died in 1600. They were both buried at Wednesbury. William lived at Wednesbury manor until the marriage of his son, Humphrey in 1591, when the family moved to Tamworth. William became High Sheriff of Staffordshire in 1622 and married twice, his second wife’s name was Anne. During his two marriages he had 16 children including two sons both named William, one from each marriage. In 1563 Bishop Bentham of Lichfield sent a return of all the parishes in his diocese to the Privy Council. The figures listing the number of households can be used as an indication of the relative size of each parish. It is suggested that a rough estimate of the actual population can be made by multiplying the figures by 6. In 1609 William Comberford was involved in a disturbance in Wednesbury, along with Sir Edward Littleton, and Sir Walter Leveson. During the affray John Berwick of Shareshill was badly wounded. It came before the Star Chamber and the three offenders were heavily fined, £100 of which was paid to John Berwick as compensation for his injuries. William died in 1625 and left £20 for the use of the poor at Wednesbury on the understanding that it would be spent on bread, to be distributed every year on Good Friday. By 1582 Wednesbury is listed as having a windmill for grinding corn, and so it seems that by this time the watermill had closed. In 1682 Plot’s “History of Staffordshire” lists three windmills, one on the eastern side of Old Park Road, close to Darlaston; another near the top of Squires Walk; and a third at the top of Windmill Street. The old Comberford's mill is seen in the background. The three mills remained in use until the end of the eighteenth century, but by 1818 two of them had closed. The miller at that time was Thomas Fenney who worked at Infield Mill. Wednesbury had one other mill, an iron mill which opened in the seventeenth century, on the River Tame close to where Hydes Road is today. The watermill eventually became a corn mill and continued in use until 1885. In 1642 at the outbreak of the Civil War, all males aged 18 and over were required to swear an oath of adherence to the Protestant religion. The names of the individuals were not recorded, or the numbers, if any, of the absentees. Hoskyns in his “Local History in England” suggests that an estimate of the actual population can be made by doubling the figures so as to include women, and multiply the result by 1.66 to include children. The Civil War must have been a difficult time for the ordinary miners, nailors and working men in the area. At the best of times it would have been difficult enough for them to earn sufficient money for food and clothing. During the war, the wealthier families, who had loyalties to one side or the other, imposed taxes on the poor to pay for their troops. This must have been a time of great hardship for the less well off. By 8th April, 1643, people in the town were 5 weeks behind with their payments to the garrison at Rushall Hall. William Hopkins of Oakeswell Hall, a Royalist was captured at the fall of Rushall in 1644 which could easily have led to him paying a high price for his loyalty to the crown. On his capture he made a complete submission to the Parliamentarian cause, so escaping with his life. Afterwards he was allowed to return home to Wednesbury. 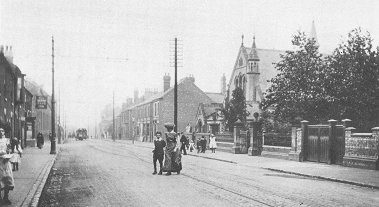 The site of the original manor house at Wednesbury is not known, but in William Comberford’s time the manor house lay about 300 yards north east of St. Bartholomew’s Church, by Manor House Road, close to today’s primary school and Beaumont Road. The house remained intact until the 1880s when much of it was demolished after falling into disrepair. By the early 20th century all traces of the house had gone. F. W. Hackwood saw the house in its later years and described it in his book “Wednesbury Ancient and Modern” as follows: “small red bricks, heavy sandstone mullioned windows, very plain but somewhat high. Its open entrance porch had a seat on each side”. Shaw in his "History and Antiquities of Staffordshire" of 1779 describes the house as follows: “It has nothing remarkable about it, now being converted into a common farm”. From about 1650 the house was let, and eventually became a farmhouse, and it remained as such until the late 19th century. In 1662 the government of Charles II introduced the Hearth Tax to raise much needed funds. Each householder whose house was worth more than 20s a year, and who contributed to local church and poor rates was eligible to pay the tax. The payment, due twice a year, was based upon the number of hearths in the property and consisted of 1 shilling for each hearth. Large numbers of people were exempt from the tax and were required to obtain a certificate of exemption from the parish clergyman. The list of taxpayers only gives the number of householders and like the Subsidy Rolls, it cannot be used to calculate population figures, but does give an indication of the comparative size and prosperity of the local towns. The table shows that for the size of the population, and the number of hearths, Wednesbury was one of the more prosperous of the local towns. The manor of Wednesbury remained in the Comberford family’s hands until it was sold to John Shelton, of West Bromwich Hall in 1663. John had been called to the Bar and became High Sheriff in 1660. On his death in 1663 Wednesbury manor passed into the hands of his son John, who was described by Hackwood as a spendthrift who died a ruined man. During his lifetime he sold the manor estate, in parts, presumably to pay his debts, ending with the sale of his mineral rights in 1710. The story of the manor doesn’t quite end here. In the early years of the 18th century John Hoo, a lawyer, of London, acquired the manor after being granted the charter for Wednesbury market and fairs, by Queen Anne in 1709. This was presumably a commercial venture to earn an income from the town. John died childless in 1720 and his estate passed to his brother’s son, also named John Hoo, whose family lived in the manor at Great Barr. King's Hill with St. Andrew's Mission Church on the right. The manor of Wednesbury remained in the family until the death of John’s son Thomas, the last of the line, in 1791. As a result the manor passed into the hands of two female relatives, his next of kin. 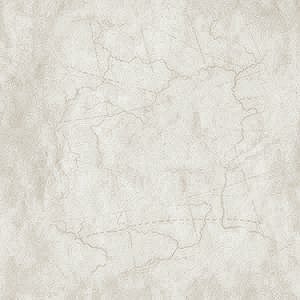 They married into the families of Whitby and Foley. The manorial court was still held annually in the 1750s and the surviving records give us an insight into life in the town at the time. The most frequent offence to come before the court was failing to fill-in disused coal pits, of which there must have been countless numbers. Other common offences were drying hemp and flax within 60 yards of a building, killing calves under 5 weeks old, selling sub-standard bread, and failing to repair field boundaries such as hedges and gates.